Exam Stress? Anxiety? Hypnotherapy could help you! It’s half term as I write this and, across the country, tens of thousands of students are beginning to face the realisation that exams are drawing very close indeed. Exam anxiety rears its head and the stress of it all threatens to derail even the most diligent student’s efforts. I always liked exams but for some people the mere thought of them will strike terror into their hearts. This is a pity, because these people are generally the most diligent and hard-working. People who don’t much care about exams or results don’t tend to be so very anxious about them. Those who do feel fear when faced with looming exams would almost certainly do very well if they could only learn how to get out of their own way. Exams don’t cause anxiety. The person who suffers the fear causes it. That may sound harsh but it’s both true and helpful. It means that they hold the solution too! The good news is that they can take control. I’ve used hypnotherapy in Reading, London, Thame, Wallingford and Oxford to help people overcome these anxieties. It really can be done. You or your child needn’t suffer insomnia, anxiety and panic any longer. Exam stress comes under the grouping of a performance anxiety. It’s similar to the anxiety suffered by people undergoing job interviews, sporting or artistic performances and the like. As with all of them, exam stress gets in the way because nobody can think clearly whilst those fight-or-flight hormones (adrenaline and cortisol) are coursing through the body. I use a combination of mindfulness and hypnotherapy to work with performance anxieties. Your or your son/daughter will not only learn to cope swimmingly well with that exam, you’ll also have learned tools and techniques which can be applied to any other future situation. As a qualified teacher I understand what it is to experience exam stress and have designed a program, for use in schools, which helps students to overcome it. Every year I help a clutch of private clients – those undertaking GCSEs, AS/A’ Levels, university finals or post-graduate professional examinations – to overcome their fears and succeed. Perhaps you or your child could be next. A few years ago I was contacted by a young woman who was about to sit her finals. A career in a great beckoned if only she could pass. The problem, however, was that these exams were so important to her that he was suffering anxiety attacks whenever she thought about them. She only had a few days between the point of contact and her first exam. It wasn’t ideal. I usually like to have two or three sessions for this problem. Neither could she come to see me in Oxford for us to work face to face. Nonetheless, she was so desperate and I was keen to help. I didn’t use Vsee in those days and so the only option was a telephone conversation. I only had a fifty minute conversation with her. That’s all we had time for. In that time, however, something must have clicked because she aced her exams and went on to begin her career in her chosen profession. It was one of the best moments in my career to that point. Sometimes I see a client for exam nerves and that’s all they need. Sometimes, however, it becomes obvious that this is just the tip of the client’s anxiety iceberg. Sometimes more work is then required. I promise to work as quickly as possible but I also want to do a thorough job. If the anxiety is deep-seated then more work may be required and I’d recommend that it gets done. Otherwise the anxiety may return of cause you problems in other ways. We’ll know, either way, by the end of session one. It’s not just for teenagers! I see people of all ages for these issues. I’ve seen accountants, doctors, lawyers, police officers and other professionals who find themselves unexpectedly crippled by a terror of examinations. If you suffer from the fear of a test of any kind, hypnotherapy can help you. Where does Resolved! Hypnotherapy practice? 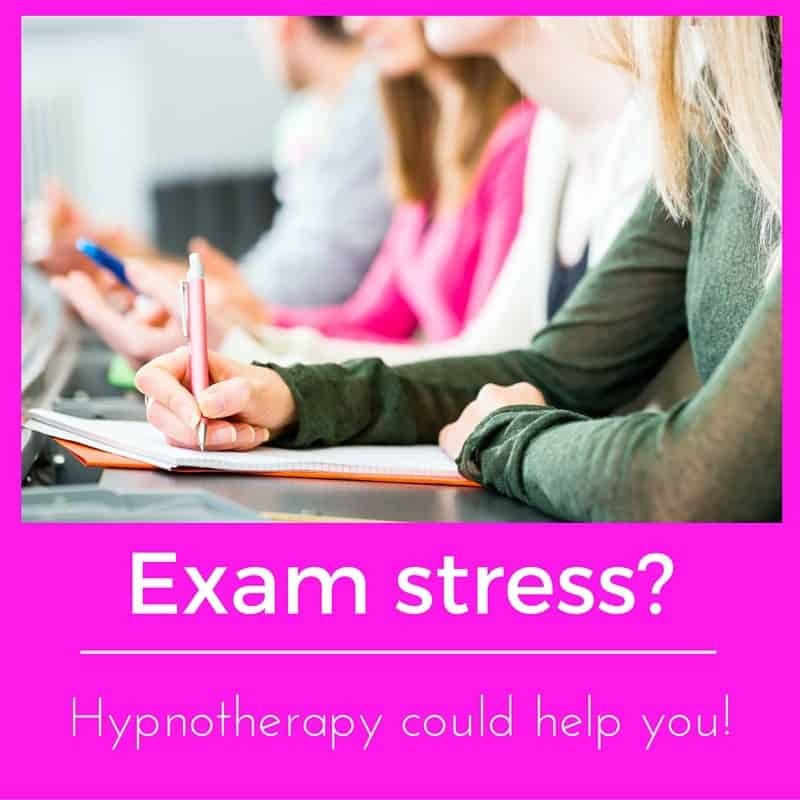 I’ve used hypnotherapy for exam anxiety in Reading, Wallingford, London (Holborn / Clerkenwell), Oxford and Thame. If you live in or around these places and if you’d like to hear more of how I could help you then please feel free to get in touch. I can be contacted on 07786 123736, o20 71939331, 01183 280284 or 01865 600970. I can also be emailed at paul@resolvedhypnotherapy.co.uk. Alternatively, simply use the contact form below. I’ll respond to the query just as soon as I can. Resolved! Hypnotherapy Reading and elsewhere.